The Nigeria captain, who featured at last summer’s World Cup in Russia, previously spent 11 years at Chelsea in the Premier League before leaving for Chinese club Tianjin TEDA in a free transfer in January 2017. But Mikel had been keen to return to England with his girlfriend, Olga Diyachenko, and their twin daughters still living in London. This had allegedly captured the interest of Crystal Palace along with a number of Championship clubs. But in the end, two-time Premier League winner Mikel has agreed to a shock move down at Championship promotion hopefuls Middlesbrough. Tony Pulis’ side are currently fifth in the standings and, crucially, in a playoff spot and Boro will now hope Mikel will be able to aid them in their bid for a return to the Premier League after nearly 10 years away from the English top-flight division. “I’m pleased to get him in. He is a man with a lot of experience and quality,” Pulis told the club website. Boro have also signed Rajiv van La Parra from Huddersfield earlier in the month in a season-long loan deal. Mikel managed six goals and 13 assists in 372 appearances for Chelsea across all competitions during his 11-year stay at Stamford Bridge. The Nigerian midfielder won two Premier League titles for the club along with three FA Cups, an EFL Cup, Community Shield, Champions League and the Europa League. 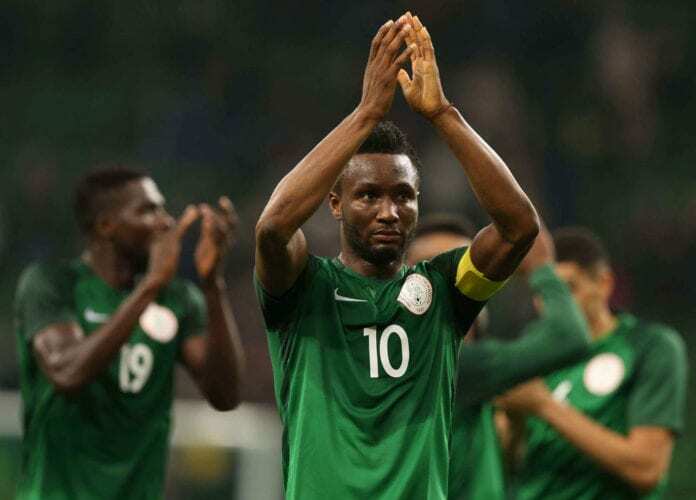 Now Mikel will be hoping to make his mark at the Riverside Stadium after making only 31 appearances in the Chinese Super League for Tianjin TEDA, which also saw him claim three goals and three assists. The 31-year-old could make his debut for Boro in Saturday’s FA Cup fourth-round match against Newport County.